Photo courtesy of Ponzi Vineyards. When Patrick Reuter, the winemaker at Dominio IV, was planning his newest vineyard, Savannah Ridge, he got out a pen and paper and sketched … a zipper. Then, last November, in Oregon’s Yamhill-Carlton AVA, he planted just that. For the past three decades or so, U.S. winegrowers—particularly producers of Pinot Noir and Chardonnay—have shared with Star Wars fans and Barbra Streisand a quirky obsession with tautology. Our habit of planting solid swaths of clones, or cultivars, of genetically identical vines is as fundamentally American as franchise restaurants and Kate Plus 8. Indeed, American winegrowers have been relentless disciples of the clone, planting their vineyards in monoclonal blocks and studying them assiduously, with the ultimate goal of matching the best possible specific clone with the soil type, microclimate, and aspect of each section of vineyard. 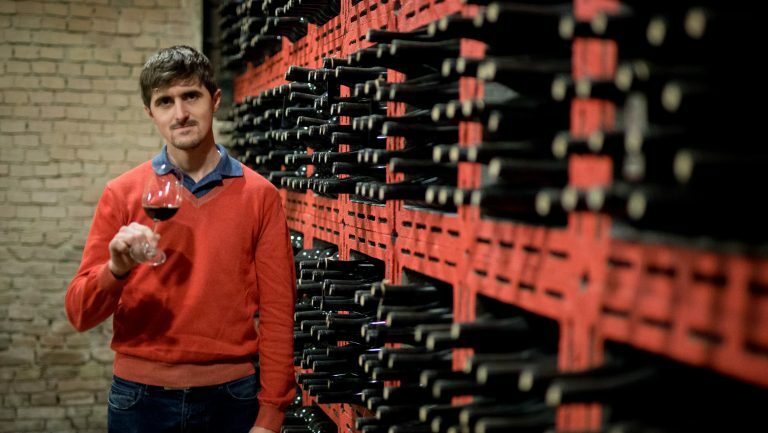 If a single block makes a remarkable wine, the winemaker might go so far as to bottle it proudly on its own, as a block designate made from a single clone—to the utter confusion, it should be pointed out, of all but the most in-the-know consumers. Terms like “Wädenswil,” “Pommard,” “suitcase,” and numerical triplets like 115, 667, 777, and 828, mean nothing to anyone other than those of us who read publications like this one. The tide has begun to shift, however, and there’s a groundswell of support in American viticulture for throwing out the old monoclonal planting mode and instead planting and cofermenting a variety of clones together. Enthusiasts of interclonal planting believe that diversity in the vineyard will translate into more nuanced, terroir-driven wines—a message that the Burgundy expert and critic Allen Meadows, of burghound.com, has been urging for years. (Meadows published “An Open Letter to U.S. Pinot Producers” on this subject back in 2008.) “I would analogize the challenge of crafting great Pinot Noir utilizing only one specific clone to that of trying to re-create Van Gogh’s Starry Night with a palette limited to one color,” Meadows told me recently. 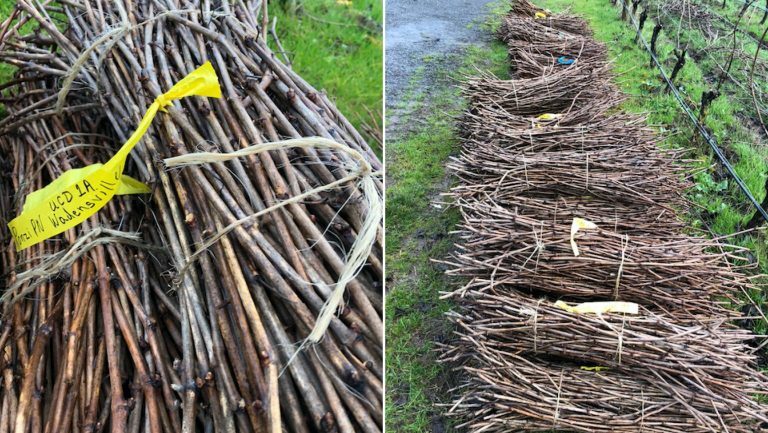 The modern American way to plant a vineyard, called clonal selection, calls for hundreds of genetically identical vines, sourced from a professional nursery, to be planted in a solid block all at once. By contrast, in Old World regions where vine tending has been practiced for centuries, traditionally minded viticulturists follow the old “massal selection” (or sélection massale, in French) method to replace dying vines or plant new rows. Rather than purchasing new plant material in large volume from a nursery, they select cuttings from the individual plants in their existing vineyard that are the hardiest and produce the highest-quality fruit and then graft them. Because grapevines mutate so quickly—and Pinot Noir and Chardonnay are known to be particularly genetically unstable—massal selection has rendered Old World plantings so genetically diverse that one vineyard might contain thousands of naturally occuring cultivars. And pundits like Meadows believe that this genetic diversity might explain why wines from massal-selected vineyards in regions such as Burgundy tend to be so layered and nuanced. American viticulturists, working with the much smaller gene pool of what’s available to them, don’t typically practice massal selection. 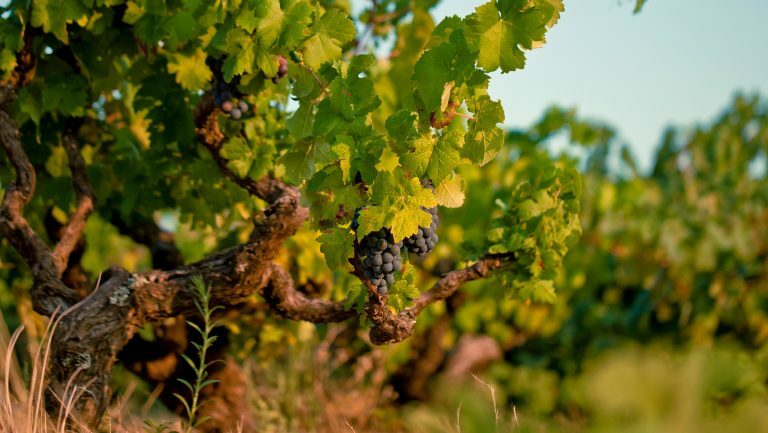 For one thing, their vineyards just aren’t old enough for it to be possible for them to identify which individual vines will perform best over the long term. And in a risky business, clones sourced from nurseries are a safe bet. They are proven performers, sanitized and certified to be virus free and pathogen resistant, and identified as hardy by plant biologists. Of course, this type of policing is grounded in the legitimate concern that massal selection planting can endanger the health of vineyards, especially if there are mutations of older vines or “suitcase clones” (clones that were snuck in from Europe without undergoing agricultural quarantine and sanitizing) in the mix. There are, however, a few long-term examples of successful interclonal plantings in the U.S., such as Mount Eden Vineyards in the Santa Cruz Mountains in California, where the Pinot Noir and Chardonnay are massal selections sourced from an even older vineyard planted by the Franco-American sparkling wine producer Paul Masson. In the late 1890s, Masson traveled frequently from Burgundy with vine cuttings, taken, it is thought, from Louis Latour (although it is rumored that some of the vines came from Domaine de la Romanée-Conti). In 1984 the winemaker John Paul, of Cameron winery in the Willamette Valley’s Dundee Hills, went to Mount Eden, took cuttings from numerous vines of differing cluster morphology and growth habits to capture as much clonal diversity as he could, then returned to Oregon and planted them at his Clos Electrique and Abbey Ridge vineyards. Paul continues to graft bud wood from them to this day; his “Massale” Pinot Noir bottling, from his oldest massal selected vines at Clos Electrique, is, he believes, his finest. When Luisa Ponzi began her winemaking career in 1993, she was convinced that she should plant solid blocks of proven clones at her family’s Willamette Valley estate, Ponzi Vineyards. But over time, she kept returning to Abetina, an old family vineyard that was an untidy jumble of clones. 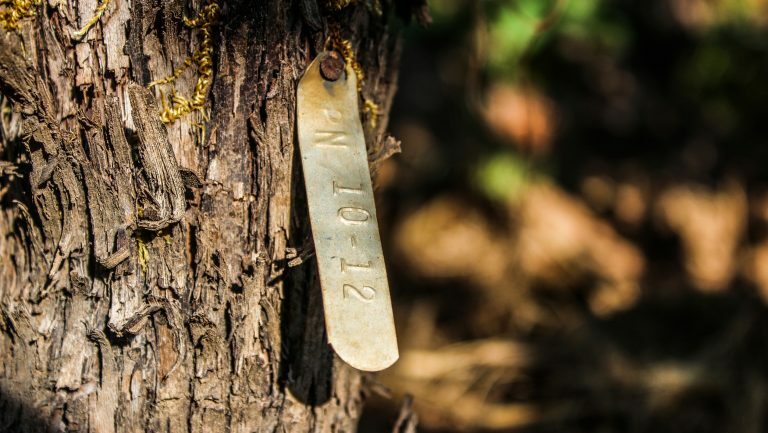 The vineyard had been a test site for Oregon State University researchers, who had planted 13 different clones in a 2-acre plot back in 1975, simply to observe how the vines would fare. It hadn’t been planted, that is, for wine quality. Yet every year, as she tasted through her wines, Ponzi found that Abetina produced her finest, most transporting bottlings. They were mysterious and layered, yet balanced—far more interesting to her than the single-clone Pinot Noirs made from vines of the same age. Why? In 2005, Ponzi decided to duplicate Abetina (wisely, given that the original self-rooted vineyard is now succumbing to phylloxera) with cuttings. She named the new block Abetina 2. The next year, she began planting a new vineyard, Avellana, entirely following a method she calls clonal massale, intermingling five so-called Dijon clones from Burgundy with Abetina’s original California “heritage” clones. 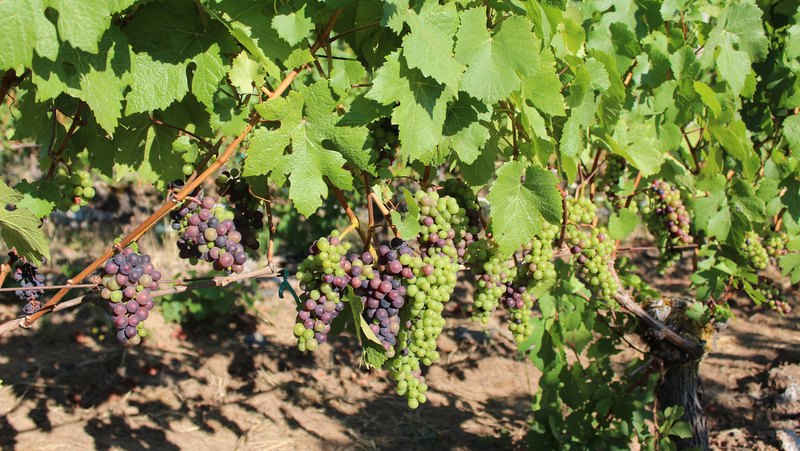 The Avellana vineyard may be the most diverse interclonal planting of Pinot Noir in the United States. Ponzi describes her planting style as “wildflower.” “We just throw them out there,” she says, “and don’t know where they are. Every vine is different.” This autumn, using the same “clonal massale” method, she will plant her sister Maria’s issimo Vineyard with 23 clones of Pinot Noir. For most contemporary professional viticulturists, however, “letting go” is not an appealing idea. Busy managing multiple sites, they need to know what they’re dealing with. When every plant in a vineyard block is genetically identical, farming is theoretically simplified, since all the vines should respond to the same pruning and disease treatments, and ripen at the same time. For these vine tenders, a monoclonal block of vines provides safety and certainty. To reassure them, winemakers who crave clonal diversity are coming up with creative plans for planting certified cuttings in a mixed-but-manageable format. In 2007, for example, when Sashi Moorman was preparing to plant Bloom’s Field, a parcel at his Domaine de la Côte in California’s Sta, Rita Hills, he thought boldly along these lines. “The idea was to create a California ‘super-massal’ vineyard,” Moorman recalls. He planted Bloom’s Field in alternating rows of the California clones Mount Eden, Swan, and Calera. Patrick Reuter, of Dominio IV, likewise designed the “Zipper” with vineyard management in mind, because his wife and business partner, Leigh Bartholomew, happens to be one of the state’s most respected viticulturists (she is the director of viticulture at Results Partners, a vineyard development and management firm). Bartholomew convinced Reuter that a completely random planting of clones would make farming difficult—and to make matters more complicated, Dominio IV is a biodynamic-certified producer. Reuter’s Zipper design divides each block of vines into thirds. The outer two ends of the block are what Reuter calls an insurance policy: They are composed of multiple rows of tried-and-true clones, such as 115 and Pommard, that will most likely fare well no matter what conditions the vintage brings. The inner third is where things get interesting: Each row is composed of a single clone, but the clones are not the same from row to row. At Lingua Franca, in the Willamette Valley’s Eola-Amity Hills, Larry Stone, the founder and CEO, originally wanted to plant his estate vineyard interclonally but was talked out of it by his vineyard manager. Stone never stopped thinking about the idea, though. When Lingua Franca leased the nearby Bunker Hill vineyard in 2016, he struck a deal with the owners to plant 10 additional acres, of which 2.5 would be interplanted Chardonnay clones. While many of the winegrowers I contacted for this article expressed surprise that anyone else in the U.S. was planting interclonally, the practice is clearly gaining traction. In 2011, Craig Williams, the COO and chief winegrower at Crimson Wine Group, planted two vineyards in the Willamette Valley’s Eola-Amity Hills to a variety of clones—of both Pinot Noir and Chardonnay. He began by planting alternating rows of clones, but more recently he’s been mixing up clones within the rows themselves. 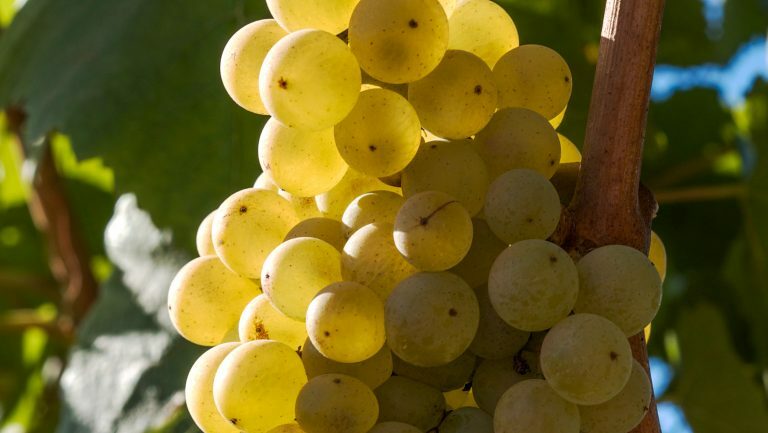 The vineyard-designate Chardonnay bottlings, in particular, from Williams’s X Novo Vineyard, have attracted enough acclaim to inspire others to follow his lead. In 2016, for example, new vineyard owner Mark Royer planted a block of Chardonnay at his as-yet-unnamed property in the Eola-Amity Hills to a mix of eight clones on five rootstocks after tasting an X Novo bottling from the Walter Scott label.